My 5 year old is graduating from Preschool this year. Yep. I'm going to have a Kindergartener. Which is exciting and a little crazy. Why do kids grow so fast? She always loves to give gifts to her friends and teacher. 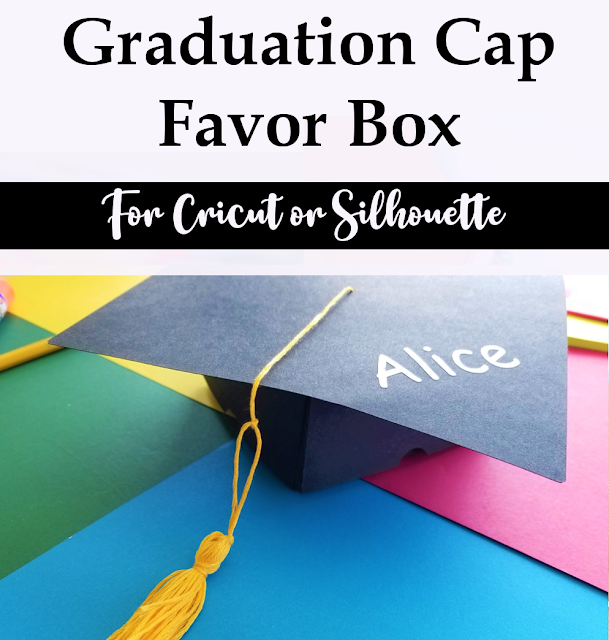 Together we decided to make these fun little graduation cap favor boxes to give to each of her little friends. 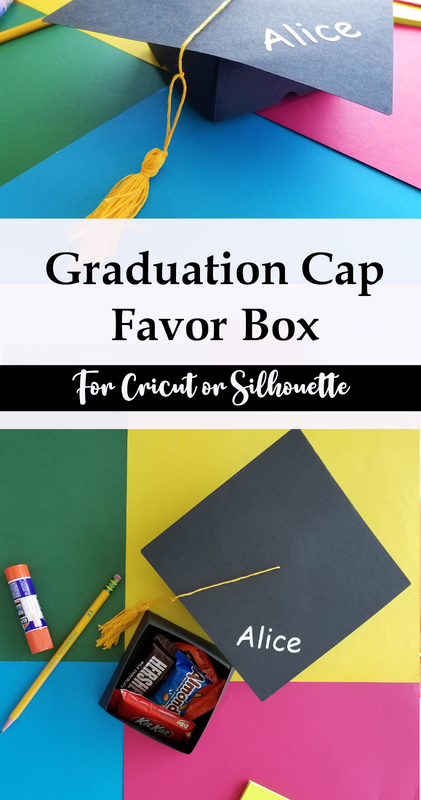 These DIY graduation caps a really quick and have a nice size favor box for some yummy treats or a simple gift card for high school or college graduates. Since her friends are all 5 and 6 year olds, we went with yummy chocolate treats instead of gift cards. 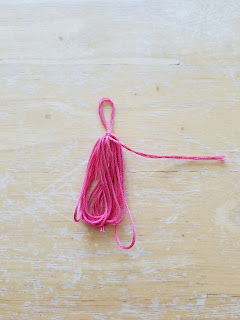 The other fun part about this project is you can decide what color hat and tassel to make. So any graduate from any school can have some school spirit with their little favor box. I purchased the favor box file to use on my cutting machine. 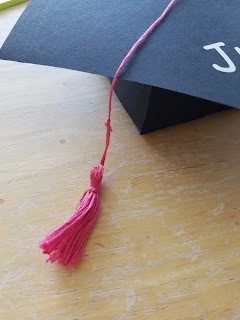 But it doesn't come with instructions on how to add a tassel. 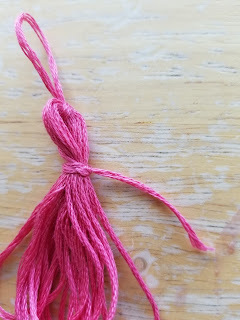 So I wanted to share with you a quick tutorial on how to make your own tassel. 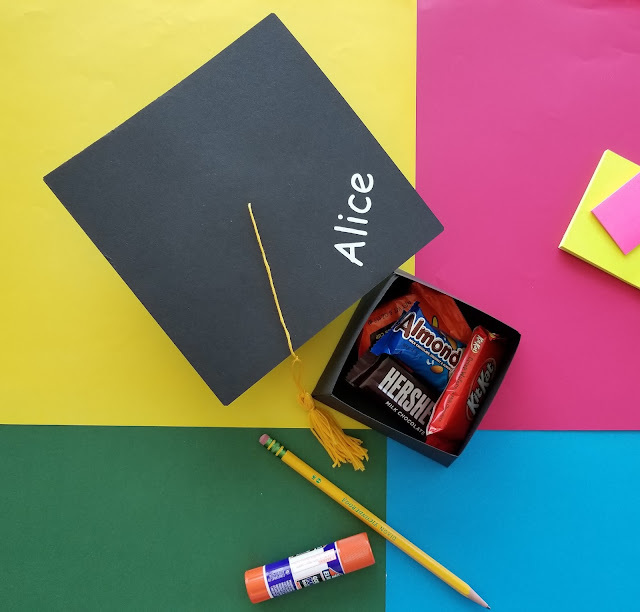 That way you can cut, glue and stitch up your favor box in no time. Take about a third of your package of embroidery floss and wrap it so it is about 4" across. 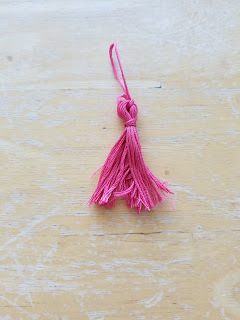 Take an 8" piece to tie your tassel. 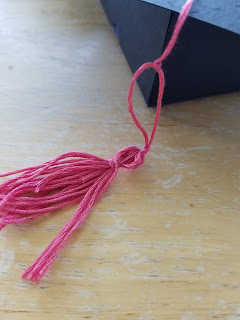 Place you 8" piece in the middle of your tassel and tie it in a knot. You'll want to have a small loop at the top. 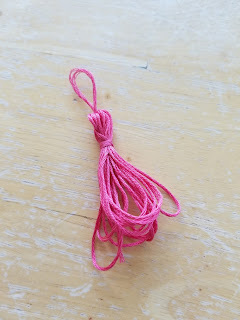 Take one of the ends of your 8" piece and wrap it around your tassel and tie off the end. 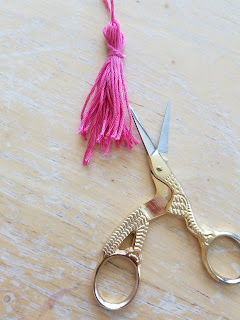 Trim the bottom of your tassel so it is even. 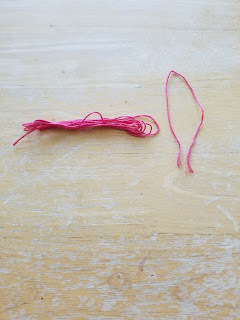 Thread a separate piece of embroidery floss through the top of the graduation hat. 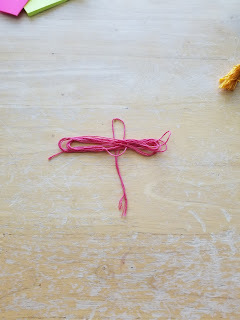 Loop the tassel through the thread on the hat and tie it off. Now you've got a fun graduation cap favor box you can fill with fun gifts and treats.